There aren’t many academic papers that present a comprehensive picture of the change in pace in the nature of production and productivity growth in South African agriculture during the 20th century like that of the late Dr George Frederick Liebenberg’s PhD thesis. 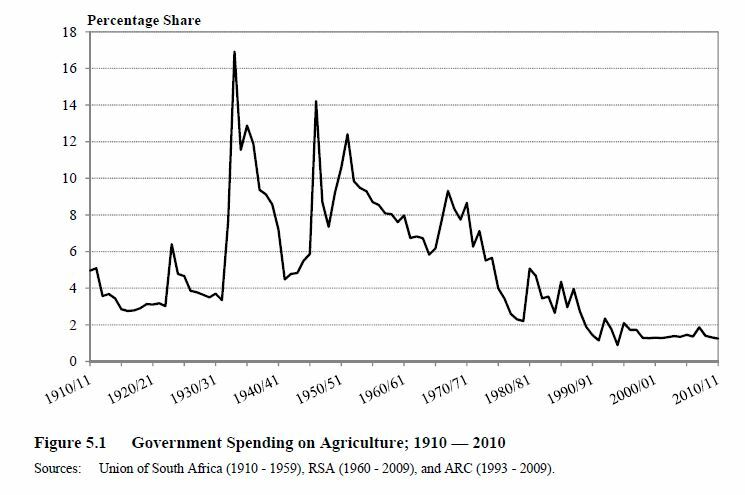 Here is a titbit of government expenditure on agriculture between 1910 and 2010 from one of the chapters in the thesis (featured image). 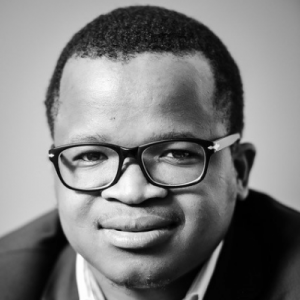 In the first two decades after the establishment of the Union of South Africa, government expenditure on agriculture fluctuated at fairly low levels of around 4 to 6 percent of total government expenditure. Spurred by the depression and the subsequent drought, government spending on agriculture increased from levels below 4 percent of total spending in the 1930’s to around 16.9 percent in 1933 – this was largely in form of subsidies. From periods around 1947, the share of government spending on agriculture decreased erratically to levels around 2.3 percent in 1980. By 1994, this had decreased to levels below 2 percent of total government expenditure. The change to a new democratic government also presented a new era of policy development in agriculture and spending in agriculture has somewhat remained at levels just below 2 percent of total government expenditure.